The female body is very different from that of a male body in terms of development however women have very different conditions that affect them daily throughout all phases of life. These conditions are mostly hormonal and most women experience these conditions during the childbearing phase due to the increased body activity. The condition might occur until a woman reaches menopause or beyond. Many of these conditions are the result of a weak pelvic floor muscle. At Fusion Physical Therapy, we have an experienced women’s health physical therapist that can help you when these common women’s health issues arise. Pelvic pain is one of the most common conditions that women experience. The pain can vary from mild to chronic. Jackie Saravane has helped many women with pelvic pain during childbirth. Urinary Incontinence usually affects women after childbirth and in elderly women. The weak pelvic floor muscle has a difficult time controlling the bladder causing urine leakage. Back pain is another common condition that most women experience throughout their daily routines whether at work or at home. Book an appointment with Jackie Saravane today! The prevalence of knee pain has increased drastically over the past 20 years. This has made many people miss the joy of walking, running and enjoying other physical activities. Fusion Physical Therapy will provide you with the much-needed relief from knee pain. With the best physical therapists on our team, we guarantee to provide quality patient care to reduce knee pain and get you to back to your normal daily activities. Injuries come in the form of a meniscal tear, ligament tear or dislocation. There are various types of knee pain that you can encounter and is determined by the area where the pain is localized. The various types of knee pain are as follows. Ligament tear pain comes as a direct blow or mechanical force to your knee. This may cause the knee ligaments to tear resulting in the knee swelling and tends to create quite a bit of pain and instability in your knee down to your foot. Osteoarthritis pain occurs when the knee cartilage gets damaged or worn out. The pain proceeds gradually and can eminently turn out to be chronic. Anterior knee pain occurs when the knee cap shifts in position. In the case of lateral knee pain, the pain occurs on the outside of the knee and is due to the irritation of the iliotibial knee tendon. One might feel the medial knee pain from the inside of the knee and is mostly due to the injury of the medial meniscus. These different types of knee pain present themselves more prominently with activities that require movement of the knee such as walking, kicking or climbing and may be hard and painful. Contact us today to book an appointment with one of our trained physical therapists and get the much needed relief from knee pain. It has been noted that musculoskeletal injuries are a major source of disability for those who have served in the military due to the strict and strenuous exercise they undertake in order to be fit. Muscokeletal injuries affect the human body’s musculoskeletal system such as muscles, tendons, ligaments, nerves, discs and blood vessels. Muscoloskeletal injuries are one of the common causes in which soldiers visit doctors. Physical therapy is a beneficial treatment to soldiers that suffer with musculoskeletal injuries. There are many physical therapy procedures that military personnel may opt for including joint mobilization. At Fusion Physical Therapy we provide many treatment plans in which will benefit a suffering soldier. The soldiers undergo extreme training in order to make them fit for battle and protection. In the course of such training, many sustain deep musculoskeletal injuries that need immediate attention to prevent further injuries from being life-threatening. When the soldiers go to battle, injuries are inevitable. They may get injured during combat or even when handling military equipment. The conditions in which soldiers live in camps are at times very difficult and may create injuries such as back pain and physical therapy may help in some cases to alleviate the pain. The trained physical therapists at Fusion Physical Theraapy look forward to treating you in order to reduce the pain from musculoskeletal injuries. Book an appointment with us today. Migraines are common occurrences encountered by many across the globe. At Fusion Physical Therapy, we receive plenty of cases of migraines making our experienced physical therapists experts in dealing with this symptom. 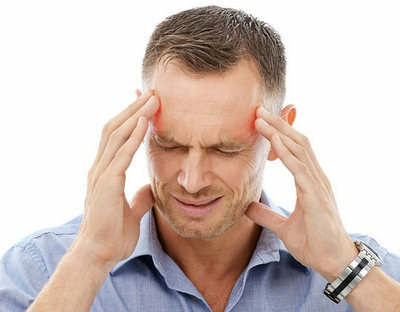 The difference between migraines and headaches is the amount of pain a person experiences. Headaches create minimal pain and are more tolerable. Migraines, on the other hand, come in a throbbing sequence and are extremely painful. Migraines are a genetic, neural disorder affecting the central nervous system mostly affecting one side of the head or may spread to the whole head. At times they may last for up to 72 hours. Visual disturbance resulting in blurred vision and light sensitivity. Numbness of the face and/or extremities. You may be extra sensitive to sound and touch. At times you may vomit. Migraines have been known to occur up to 15 days in a month, which means that every two weeks one may encounter extreme pain in the head. Individuals who experience migraines may experience a decrease in activity due to severe pain as well as the sensitivity to light and sounds. Yes, migraines are treatable, however, the treatment is much more complicated. Just like cancer, heart disease or even diabetes, some patients respond well to treatments while others do not. The main factor in the treatment of migraines is to identify the triggering factors and adjust the lifestyle so as to avoid those triggering factors as much as possible. For example, if light is the trigger that creates migraines, then one should try and avoid light or use photochromic glasses. As discussed previously, physical therapy can help in the treatment of migraines, especially when the migraine is caused by muscle tension, neck immobility, poor posture, and disc pathology among other factors associated with the upper musculoskeletal system. At Fusion Physical Therapy, we have certified physical therapists that provide the best treatment plan to help treat migraines. Book an appointment for a physical therapy session with one of our trained physical therapists at Fusion Physical Therapy. One of the most common conditions that almost 70% of the pregnant women struggle with is lower back pain. The main reason for this lower back pain is lack of alignment as a result of the center of gravity moving forward. As the pregnancy continues and the baby continues to grow in the womb there is some constraint on the mid-back, shoulder, and the entire neck-area. This eventually results in back pain. Besides, the normal pain in the back and the hip bone, women have complained of some stabbing pains around the abdomen and uterus. There are many changes that occur in the body of a woman during her pregnancy resulting in various parts of her body aching. However, at Fusion Physical Therapy, our experienced and trained women’s health physical therapist can aid you with effective treatments to go through pregnancy successfully. What really causes stabbing pains around uterus? If you are seeking quality patient care and would like to relieve pain during and after your pregnancy then call us today to book an appointment! Carpal tunnel syndrome is a condition that affects those who exert great force on their wrists. 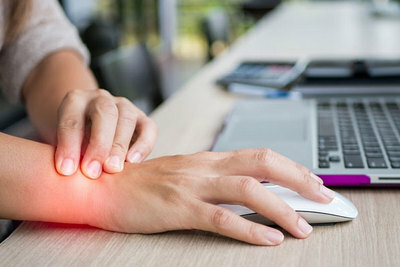 The carpal tunnel is the tunnel-like structure on the palm side of your wrists, which protects the median nerve as well as tendons that aid in the flexing of your fingers. Carpal tunnel syndrome affects the median nerve, courtesy of the pressure put on it and may cause numbness or even irritation. This numbness and irritation can affect your grip and your wrist movement. Physical therapy is a good method for treating Carpal Tunnel Syndrome. Who Is At Risk Of The Carpal Tunnel Syndrome? Most people who are at risk of suffering from carpal tunnel syndrome are those who work extensively with their hands. Among the most prone are the following. Most of the time, these symptoms are most prevalent at night when the muscles are relaxed with minimal tension. At Fusion Physical Therapy, we have a team of physical therapists with vast experience in the carpal tunnel syndrome. Our trained physical therapists will examine you effectively to ascertain the cause of your condition. The physical therapist will partner with you to create a treatment plan which will work to aid in the relief of pain and to regain normal range of motion in the wrist. Contact one of our trained physical therapists and book your next appointment with us today! To some women, laughing, sneezing, exercising or coughing can be embarrassing due to the result of those functions such as wet pants due to urethra leakage. Urethra leakage is the condition commonly referred to as stress incontinence or stress urinary incontinence (SUI). In this day and age, out of every 3 women, 1 of them suffers from Stress urinary incontinence (SUI). However, as the age of women progresses, the condition becomes more prevalent as at least fifty percent of women above the age of 65 suffer from the condition. The main cause of stress incontinence is weak pelvic floor muscles and fragile abdominal muscles. Increased pressure that is placed on the pelvic floor muscle and bladder can create continence when these muscles are not strong enough to control the continence. This pressure can cause urine to leak out especially during physical activity such as running, engaging in sports, laughing, coughing or sneezing. Our trained physical therapists at Fusion Physical Therapy will provide quality patient care to strengthen the pelvic floor muscles. At Fusion Physical Therapy, we understand the complications that come along with stress incontinence like personal distress, mixed urinary incontinence, and skin rashes. pelvic floor muscle exercises like Kegel exercises. Contact Fusion Physical Therapy today at 580-699-5455 or book an appointment with our women’s health specialist! Runners experience pain in their shin and knee, known as runner’s knee. Runners also complain of injuries in their legs, neck and various other muscles. Some people need surgery to fix the above injuries, which generally takes longer to heal . However, surgical operation is not the only option, physical therapy is an effective alternative for effective rehabilitation of injuries. At Fusion Physical Therapy, we have experienced physical therapists who use their training and expertise to provide therapy to help recover from sports injuries effectively. Most people are used to RICE treatment for the above injuries, which stands for: Rest, Ice, Compression, and Elevation. However, at Fusion Physical Therapy, our trained therapists go beyond this and work with you to create a personalized treatment program that is best suited to meet your therapy needs. By knowing the causes of these injuries, you can be in a position to prevent them from happening. Here are some of the common causes of sports injuries. To deal with sport injuries, it is important to seek a physical therapist who will guide you on the Do’s and Don’ts. The physical therapists at Fusion Physical Therapy will help you rebuild your strength, range of motion and mobility of your body parts after any type of injury. The experienced physical therapists at Fusion Physical Therapy are trained to teach you the stretches, techniques, and exercises that will help you recover. The treatment plan will be created after completing a thorough diagnosis of the inflexibility and weakness of your muscles that usually cause injuries. Book an appointment with us today! An important aspect of physical therapy is the restoration of normal and everyday body function after an injury, surgery or just normal day to day wear and tear. Physical therapists also like to provide education for injury prevention. After surgery your body tissues, muscles and bones need time to heal. After surgery, many people experience reduced flexibility and functionality in their body because of their limited mobility when they were recovering from surgery. To avoid this reduced flexibility and limitations to normal activity, post-operative physical therapy is a beneficial and successful treatment plan for post surgery recovery. Our trained physical therapists at Fusion Physical Therapy will develop a personalized physical therapy plan for you that will enable you to regain your flexibility and body functionality that will increase the ability to perform normal daily activities pain free. Our therapists will also educate you on ways to prevent injury. Book an appointment with us today to get back to your normal routine activities! This is perhaps the most common condition that is affecting approximately 5 million people in the United States. Fibromyalgia is very common in women who are between 30 and 50 years old. This condition usually affects the bones and muscles of the patient characterized by fatigue and/or pain in the muscles & joints. Although there is no determined cure for fibromyalgia, at Fusion Physical Therapy, our trained physical therapists understand your pain, reduce your fatigue, manage your pain, and improve the quality of your life. It is good to note that the fibromyalgia has similar symptoms to osteoarthritis and tendinitis but its pain is felt all over the body. So how do we diagnose this condition at Fusion Physical Therapy? Since this condition can be easily mistaken and misdiagnosed, our expert physical therapists and other specialists work together to perform a deep examination. This helps them come up with your past health history which helps them administer the appropriate treatment. They usually begin with passive treatments in their plans before administering active treatments meant to strengthen your body. Our dedicated physical therapists at Fusion Physical Therapy come up with a plan that incorporates deep tissue massaging to relieve tension and spasms, heat therapy which facilitates blood flow, hydrotherapy, ultrasound, core stability and stretching exercises. Our therapists will teach you some techniques that will help you deal with fibromyalgia symptoms by yourself. So as to have long-term effects, you should continue with the exercises even at your home. You can silence fibromyalgia today; just book an appointment with us! Fusion Physical Therapy is a brand new facility in Lawton with state of the art equipment. Our physical therapists are focused on providing the highest quality of patient care by providing the best possible physical therapy services that focus on improvement, quick recovery and prevention education.